Battles for and against gun control continue to intensify in various states around the country. Although Colorado took center stage with the recall of state senator John Morse (D-Colorado Springs) and Angela Giron (D-Pueblo) days ago, gun control is or has been the recent focus in Mississippi, Texas, Missouri, New York, and Connecticut. The good news for gun owners is that the clear majority of the battles are against gun control. In Mississippi, House Bill 2 was passed in the last legislative session and signed into law by Governor Phil Bryant (R). 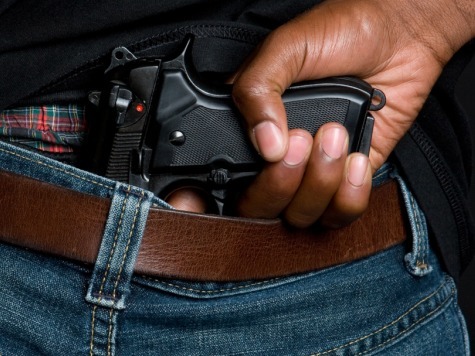 This law allows Mississippians to carry a firearm in plain sight for self defense, without a permit. Supporters of this law say it “confirms…the right to keep and bear arms.” This law will soon take effect. Continuing the effort to protect the right to keep and bear arms, CNN reports that Texas refashioned their concealed permit renewal process to make licenses easier and cheaper to renew. Legislators also passed an added discount on concealed carry licenses for military veterans and peace officers. Governor Rick Perry (R) supported both measures. In Missouri, the GOP-controlled legislature says it will override Governor Jay Nixon’s (D) veto of a law nullifying federal gun laws within Missouri’s borders. House Majority Leader John Diehl (R-87th Dist.) says they will override the veto of that law and other pieces of legislation; what they fail to override they will counter with new legislation in the coming session(s). Colorado went pro-gun control, and that did not work out so well for Morse and Giron. Additionally, 55 sheriffs in the state have filed suit to have the gun control laws overturned. New York and Connecticut have seen the passage of extreme gun control laws since the heinous crime at Sandy Hook Elementary. But in NY, as in Colorado, a growing number of sheriffs say they will not enforce Governor Andrew Cuomo’s (D) gun control laws. It is also worth noting that as the clear majority of these states have been working to loosen or repeal gun control, the City of Chicago has been forced to end its 45-year-old gun registry and to stop requiring citizens to get a city permit for gun ownership.